Barcelona - Barcelona will join a strike called across Catalonia on Tuesday in protest at a violent crackdown by police of an independence referendum called by pro-separatist politicians for the region on Sunday. 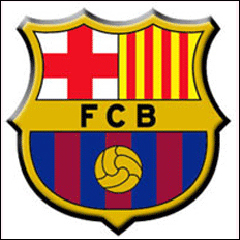 "FC Barcelona joins the country wide strike called for by Table for Democracy and therefore the club will be closed tomorrow," Barca said in a statement on Monday. "None of the professional teams or the youth teams at FC Barcelona will train tomorrow." Clashes as police fired rubber bullets and forced their way into polling stations, often violently removing activists, to confiscate ballots left at least 92 people confirmed injured out of a total of 844 who needed medical attention, according to Catalan authorities. "We strongly condemn the violence carried out by the state's security forces to impede the October 1 referendum," said a 44-strong group of organisations, including leading unions, in calling the strike. In light of the incidents, Barca played their match against Las Palmas behind closed doors on Sunday. Barca president Josep Maria Bartomeu said the club made the decision as a protest against the violent clashes rather than security concerns. The vast majority of Barcelona's stars, including five-time World Player of the Year Lionel Messi and Gerard Pique, who has been an outspoken defender of Catalonia's right to self-determination, wouldn't have trained with Barca on Tuesday in any case as they are on international duty with their respective nations.